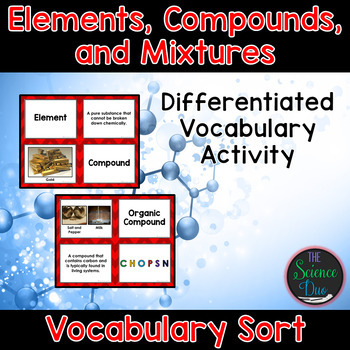 Help your students grasp and retain key Chemistry vocabulary with this interactive vocabulary sort activity relating to elements, compounds, and mixtures. 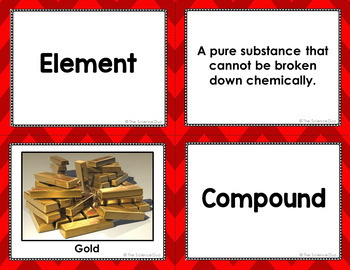 This resource includes 10 key terms to match to a definition and icon (picture), 3 different student answer sheets to meet the needs of your individual students or classes, and an answer key. This is the perfect activity or intervention for your ESL or ELL students. 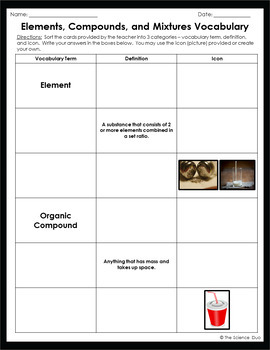 Use this resource as a "hook" or pre-assessment at the beginning of a new unit of study or for stations, warm-ups, or tutorials. SAVE 40%!!! 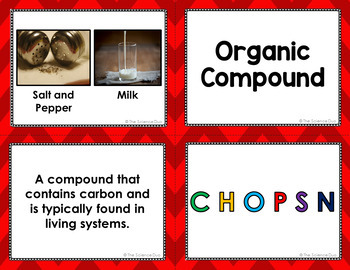 This resource is included in our Science Vocabulary Sort Bundle.